There are three things we know in regard to the cedars of Lebanon. First, the cedars are quite dense in that region of the country. Second, they produce a good fragrance. People in general love to smell the cedars of Lebanon. 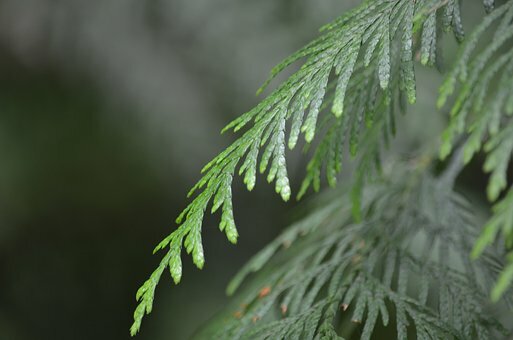 Third, the wood of the cedar was believed to be the wood used in the purification services. There is a story that I love to tell in regard to purity. The story goes something like this. In the forests of northern Europe and Asia lives a little animal called the ermine. He is mostly known by his snow-white fur—and there is nothing more beautiful in the fur markets of the world. In some countries the state robes of judges are lined with it, the white being symbolic of purity and honor. The ermine has a peculiar pride in his white fur coat. Against all hazards he protects his fur against anything that would spoil it. It is said that the fur hunters take cruel advantage of the ermine’s care to keep his coat clean. They do not set a snare to catch him at some unwary moment, but instead find his home, a cleft in the rock or the hollow of a decaying tree, and daub the entrance and interior with filth. Then their dogs start the chase. Frightened, the ermine flees toward his home, his only place of refuge. He finds it daubed with uncleanness, and he will not spoil his pure white coat. Rather than go into the unclean place, he faces the yelping dogs and preserves the purity of his fur at the price of his life. It is better that he be stained by blood than spoiled by uncleanness. Purity for the believer is not just important – it is imperative. ✞ Keep yourselves pure from all the impurities in this world. ✞ When you see or hear of the cedar tree, remember the importance of purity.